Today has been a very disappointing day for thousands of bikers in the United Kingdom who have been supporting the No To Bike Parking Tax campaign to fight the introduction of parking charges for motorcyclists in the heart of the British capital by Westminster City Council. The Court of Appeal has dismissed the bikers’ case although permission to appeal the initial judgement was granted on six grounds out of seven. The High Court of Justice considers that it is fair that motorcyclists pay, along with car drivers, for parking, despite the fact that motorcycle parking has always been free of charge until recently. The judges today rejected the claim from the The No To Bike Parking Tax group that motorcycle parking charges were introduced in the sole attempt to raise revenue although, as admitted by Westminster Council, the motorcycle charging scheme has been generating an annual loss to the taxpayer of over £400,000, whilst the scheme was being pushed through by the same council as “revenue-neutral”. The Court of Appeal took the view that the council had fairly considered the opposing views of motorcyclists by reducing the charge from £1.50 to £1 a day in an attempt to make the scheme revenue-neutral. 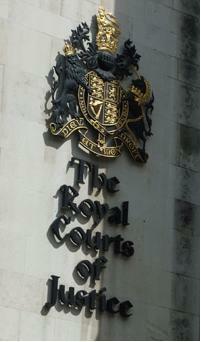 The campaign group still disagrees with today’s ruling and intends to continue with their legal fight against Westminster Council by taking the case to the European Court of Justice in Strasbourg to establish whether the council has indeed followed the European Union rules and regulations when setting up its parking infrastructure and while charging for parking. Since the claim that the group is submitting to the European Court of Justice is against the UK Government, as opposed to Westminster Council individually, legal-aid will negate the need for further fundraising from the protest group. Whilst we are definitely not best placed to make any comments or criticism on the judgement announced today by the Court of Appeal in the UK, we wonder the extent to which the decision has been influenced by politics and personal opinions. Assuming Westminster Council had done something illegitimate or illegal in implementing and imposing a parking charge on motorcyclists, would it have been really appropriate to make a local authority lose against members of the public and admit that they are in the wrong? Would this not have encouraged members of the public across the UK to take the habit of investigating the actions of and suing their local Government every time the latter was to implement an unpopular scheme? Also, after having heard comments during the trial such as “but it’s only a pound” or “why should motorcyclists not pay when car drivers do”, do we really think that a ruling in favour of the bikers was going to be announced today? In Europe, we expect the case to take a complete different dimension. As far as we can see, the EU is not concerned about local and national politics, and even personal opinions. It’s all about assessing whether European law has been correctly applied in a particular member state and, if not, sanctions and orders are given against the national Government of that member state. Let’s see what the European Court of Justice has to say to the UK Government about the bikers’ claims in due course, if anything. Sometimes, it’s good and reassuring to know that the UK is a full member state of the EU, as one can hope that justice involving the UK may be done in a fairer way. Westminster councillors may be celebrating their victory today with a glass of champagne, but it sounds like they have only won a battle, not the war against the bikers!